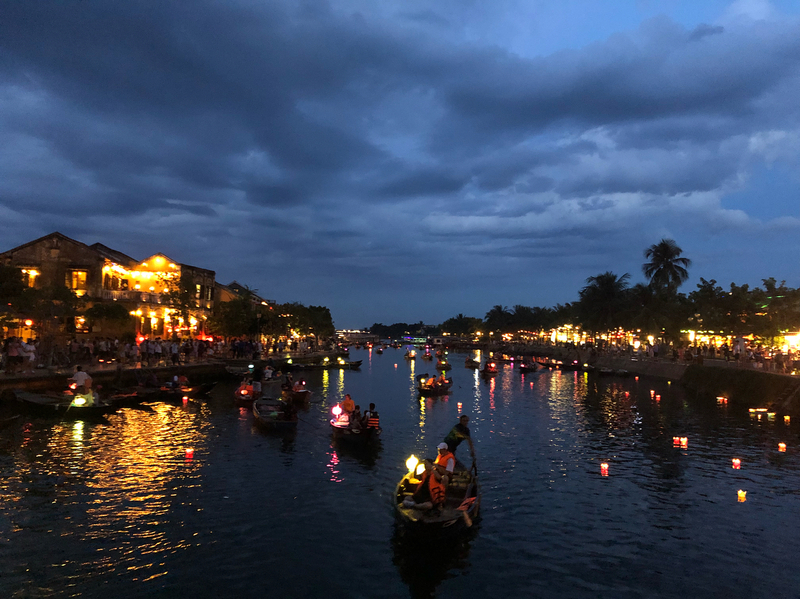 Hoi An is a small, picture-perfect town. With its old, rustic feeling, every building is a slice of the past. The buildings are a perfect combination of the past and the present. Thanks to its great location, finding day trips will be far from problematic. Here are some Hoi An day trips suggestions we’re sure you will love. Drive 30 minutes from Hoi An and you’ll reach the wonderful Marble Mountains, named during the French occupation of Vietnam. The Vietnamese usually call this place ‘Ngu Hanh Son’, meaning ‘Five Elements Mountain’. Unsurprisingly, there are five mountains representing five elements: Kim Son (Metal Mountain), Moc Son (Wood Mountain), Thuy Son (Water Mountain), Hoa Son (Fire Mountain), and Tho Son (Soil Mountain). Each mountain is unique in shape and has its own system of caves and shrines. The Water Mountain is the best-known tourist attractions. 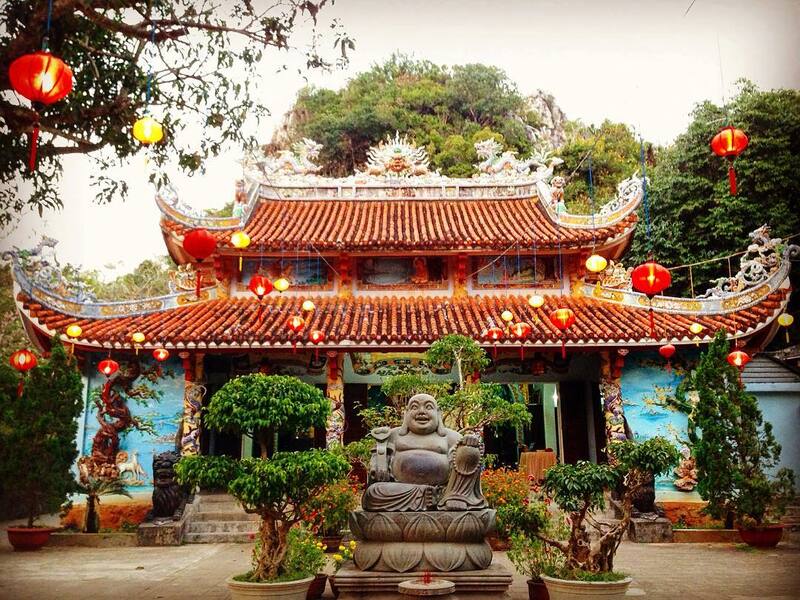 Here, you can visit the Tam Thai Pagoda, Huyen Khong Cave, and Hell Cave. The Pagoda was built during the 17th century but suffered heavy damage during the Tay Son rebellion, and was reconstructed by Emperor Minh Mang in 1825. While the cave is famous for its mysterious beauty, the true magic lies in how the light moves through it. Meanwhile, Hell Cave definitely deserves its name: this cave represents the journey through hell and how bad karma will punish wrongdoers. Metal Mountain is a great one to visit. One of the most famous attractions here is Quan Am Cave which wasn’t discovered until 1956. The entrance may be small but the deeper you get, the larger the cave becomes. It’s similar to the shape of the bottle that Bodhisattva holds, hence the name Quan Am (Bodhisattva in Vietnamese). Overall, The Marble Mountains is definitely one of the best day trips from Hoi An! Explore the unrevealed secrets of the sacred Marble mountains with Inspitrip now! This place is included on many lists as one of the greatest day trips from Hoi An. The Sanctuary is a complex of Hindu temples dating as far back as the 4th century. In fact, it’s the last remaining ruin complex from the ancient Cham Empire. It was once a site for religious ceremonies and a burial place for Cham royalty. The valley has since been named a World Heritage Site by UNESCO. Sadly, most buildings were destroyed by both natural and man-made disasters, especially during the Vietnam War with the US. The Sanctuary from a distance. 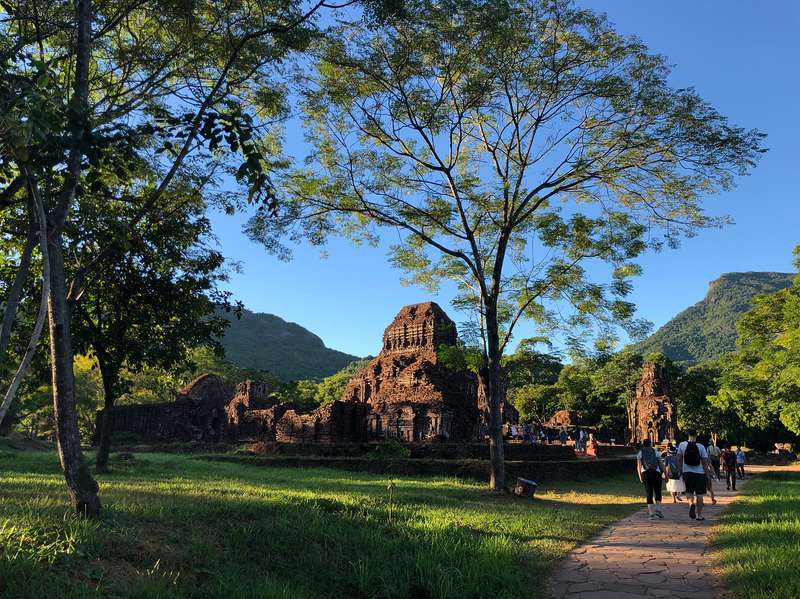 My Son sanctuary may not stun you with its beauty like Angkor wat or Ayutthaya or other Cham structures. But the ruin of My Son sanctuary is still extraordinary with its mysterious and rustic vibe. The temples at My Son are very simple, with roof thicker and bigger than the foundation. The inside of these temples is dark and very simple because they don’t have any windows. This darkness provides the best conditions for the shamans in the temple to communicate with the gods. Following US bombings, only 17 out of 71 buildings survived. Today, there are numerous teams trying to rebuild and conserve the site. However, the humid climate creates countless obstacles for them. The best time to visit My Son Sanctuary is spring (February-April) or fall (August-October). Try to visit when the sun is out and remember to bring enough water. Remember sunscreen too, as the Vietnamese heat can easily damage your skin. About 20 km (12 miles) from Hoi An, lies a destination for adventurous day trips from Hoi An. This is the Cham Islands or ‘Cu Lao Cham’ as the locals call them. 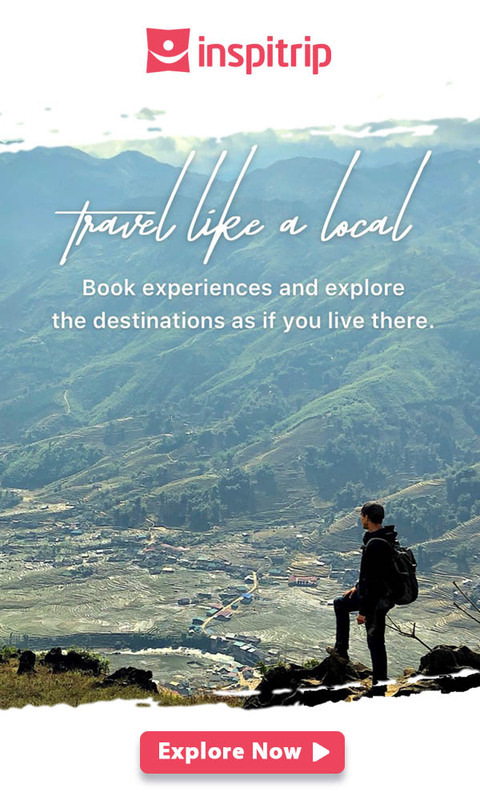 They’re great for anyone looking for adventure or simply somewhere to hide from the heat of Vietnam! You must first travel to Cua Dai port to catch a boat to the Cham Islands. There are three main ways to reach them: speed boat, tour boat, and supply boat. The mesmerizing beach of Cham Island. The Cham Islands are a cluster of eight islands. Cu Lao in Vietnamese means an island built up by soil and rock deposited by rivers. The eight islands are Hon Lao, Hon Dai, Hon Mo, Hon Kho Me, Hon Kho Con, Hon La, Hon Tai, and Hon Ong. It’s thought that there were people living on these islands as long as 2,500 years ago, and you’ll see buildings that are hundreds of years old. The Cham Islands also possess a large collection of flora and fauna. In 2009, the Cham Island Biosphere Reserve was recognized as a World Heritage Site by UNESCO. There are a lot of things to do during a one day tour on Cham island. The activities on the islands will certainly leave you satisfied. You can explore the Marine Museum, the Ancient Well, and Hai Tang Pagoda. After you’re done exploring, let’s get to the adventures! You can go sea trekking, which means walking on the seabed wearing a special helmet. 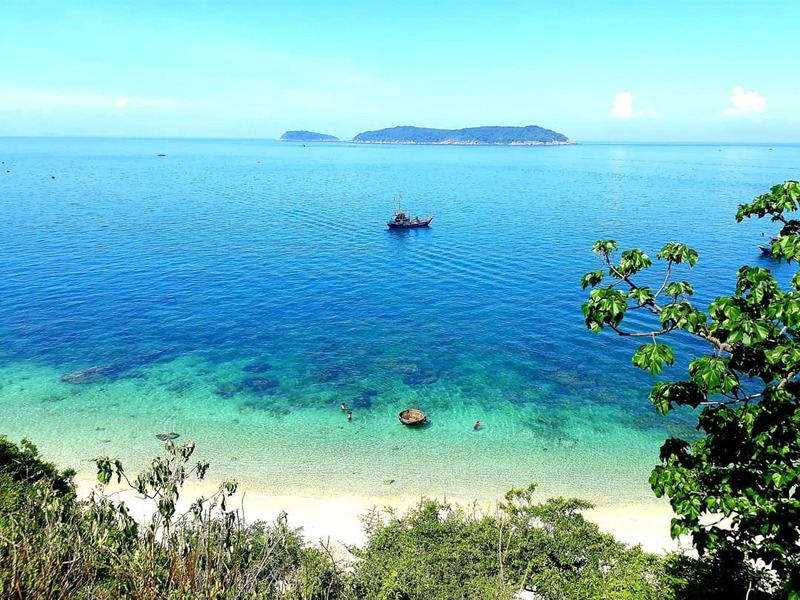 Alternatively, you can relax and swim on the beautiful beaches of the Cham Islands. Another popular activity for tourists is snorkeling. Dive into the blue ocean and explore the rich marine life around the islands! Why don’t you begin your dream getaway with the sun, the beach and all the fun on Cham island now? This town is an absolute must on any Hoi An day trip list. Hoi An Ancient Town was a trading port from the 15th to 19th century, and the buildings reflect the indigenous and foreign influences that have combined to create this unique heritage site. However, the town wasn’t always called Hoi An. Long ago, the Europeans called it Faifoo, meaning ‘peaceful meeting place’ in Chinese. To enter the Old Town, you are required to buy a ticket (120,000 VND) from one of the various kiosks. The ticket includes five coupons that allow you to visit five attractions of your choice. These include temples, museums, ancient houses, assembly halls, handicraft workshops, traditional theatres, and the Japanese Covered Bridge. The ticket allows you to enter the Old Town through the Japanese Covered Bridge, but there’s nothing stopping you from entering without a ticket through any nearby street. However, it’s still recommended that you buy a ticket to support the travel industry here. There are many things to experience around the Old town area such as sneaking in a cute little coffee shop, wandering around the art galleries, or simply riding a bike around town to enjoy the tranquility. The best time to visit the Old Town is at night when shops and houses light colorful lanterns. It feels like you’ve gone back many years into the past! The food here is also fantastic. Some dishes you must try include Cao Lau, White Rose (banh bao vac), Wontons (Hoanh Thanh), and Mi Quang. There are also some famous food establishments like Bánh Mì Phượng, Morning Glory, Bamboo Buddha Bar Lounge Restaurant, and many more. Before you go, I have one last tip for you. The mindset ‘it’s okay to rip off foreigners’ is present everywhere in Vietnam. So before you buy or eat anything, ask for the price first. If it seems too pricey, try to haggle. If you can’t lower the price, just walk away. I hope we’ve provided you with useful information for your trip to Hoi An. There are so many day trips to take from Hoi An that you’ll be spoiled for choice!